What an intriguing title. 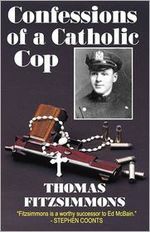 Confessions of a Catholic Cop by Thomas Fitzsimmons. Not a “normal” read for me, but I’m all about mixing things up! A former New York City cop who comes from a family of cops, and have been a private investigator and bodyguard to A-list celebrities for the past 20years (the last nine spent bodyguarding Catherine Zeta Jones and Michael Douglas). He is on call 24/7 when his clients are in town and structures the rest of his days around writing. He’s currently working on this third novel. The rough streets of the South Bronx. Home to countless gangs, pimps, and hustlers. Where a gunshot is as common as a baby crying. Where a day without a murder is an oddity. This is where ten-year police veteran Michael Beckett has spent most of his career. When he lands a walk-on role on a popular network cop show, Beckett hopes to trade chasing rapists, drug dealers, and murderers for a new life in front of the camera…and maybe even settle down with the young, hot writer on the show, Solana Ortiz. But when Solana’s neighborhood goes up in flames in a string of arsons, Beckett must put aside his caviar dreams and do what does best – police work. I was impressed the book had high ratings on all the review sites I looked up, especially since Fitzsimmons was a first time novelist. I was anxious to get reading when it arrived and I soon found it to be an easy page turner. I instantly liked the main character Becket, but not so much his crazy partner Vinnie. While happy I don’t live in the South Bronx with gangs & shady businessmen, I felt for Solana who grew up there, but was anxious to leave at the same time. Both her and Beckett get caught in a web of wanting to catch the bad guys and trying to protect the people and property of this shallow neighborhood. Fighting for their lives as many people die around them, they develop a relationship with each other. Can they save the neighborhood and a relationship at the same time? You’ll have to read to find out! This is definitely a book that Hubby will enjoy and I’ll be passing it along! Paperbook or eBook ~ you choose! Tell me ~ what is your favorite genre of book? I received this book for review and all opinions are my own. Giveaway will end on Aug. 22, 2011 at 10:00pm EST. All opinions are my own. Winner will be drawn via random.org. Once a winner is drawn I will contact them and they will have 48 hours to reply before I draw a new winner. Giveaway is open to anyone in the US/Canada for paperback and Worldwide for eBook and you must be 18 years of age or older. 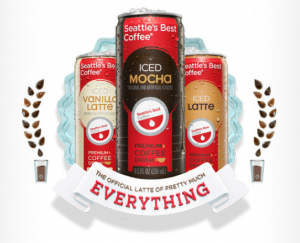 Seattle’s Best Coffee ~ Iced Lattes! I am a coffee girl. Not straight coffee but the flavor of coffee. Especially iced lattes & frappucinnos! I was lucky to get to try Seattle’s Best new Iced Lattes. You can now buy them at your local grocery store! They come in convenient to-go cans that are easy to bring along all on your summer adventures. Only 130 calories per can and affordable at $4.99 per 4-pack. Come in three yummy flavors…Mocha, Vanilla, & Regular. You know I am a Mocha girl so that is the first one I couldn’t wait to open! It was excellent! The drink is 9.5oz which is the perfect size for me. Enough to give me that coffee taste, but not enough to overwhelm and make me full. I limit myself to only one per day so I couldn’t wait until the next day to try the Vanilla! What is your favorite kind of coffee drink?